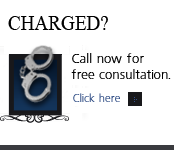 Colorado Domestic Violence Cases - Denver Criminal Attorney Specializing in Domestic Violence Cases - Colorado Criminal Defense Lawyer. 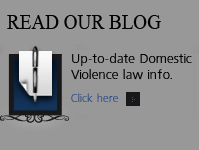 This article addresses some of the issues I have seen as a Colorado domestic violence lawyerover the 30 years I have worked within the Colorado criminal justice system. Prosecutors believe a number of things about the alleged victims of Colorado domestic violence cases – the first is that the most important factor in the alleged victim’s refusal to cooperate is based – in large part – on the financial dependence she has on the alleged perpetrator. Among the favorite reasons used by DA’s are the defendant’s power and control over the victim, the victim’s low self esteem, a desire to save her relationship with the defendant, and the victim’s belief in the future of the relationship at stake. Other reasons include the alleged victim’s fear of retaliation. What Is Missing In The Analysis? “I take the victim aside, talk to her, tell her that the defendant is not going to retaliate, explain to her that the defendant is not going to change, if he hit her once, he is going to hit her again. How about taking the approach that a resolution of the case might include counseling but no conviction or long term probation? This might happen if a DA tailors the agreement to this victim’s needs and desires. Therefore – if she wants counseling for her family – perhaps ask – how can the prosecutor help her obtain the assistance she and her family or the relationship needs. The more time a prosecutor schemes to force an alleged victim of domestic violence to testify – the less time he or she has to investigate the case, to interview witnesses – if any – and analyze whether it makes sense to proceed. One common approach for DA’s – when the alleged victim and defendant are no longer together and the alleged victim wants to drop the case to move on with her life – is to argue that her refusal of cooperate will lead to the abuse of the “next woman.” Another approach is to force the victim to go forward when she does not want to is to use her children as a motivating factor. The size of a DA’s caseload often makes it impossible to spend time with an alleged domestic violence victim Because these cases can last up to a year months go by with no contact between the DA and the alleged victim. The alleged victim begins to think the case just went away and when the trial date finally arrives, her life is again thrown into chaos. One recent study found that ninety-two percent of prosecutorial agencies use personal subpoenas to require victims to testify….threatening arrest if there is no cooperation. Prosecutors also threaten that if the victim changes her story and tells the truth – that she made the whole thing up, she will be compelled to tell the judge that she lied – testifying to this under oath and she can then be charged with perjury. Still others are threatened with – if they fail to show up in court – the judge’s contempt power – to be thrown in jail. These hardline approaches – jailing victims for their refusal to testify – in my opinion – are little more than the purest form of re-victimization. DA’s – if they respond honestly – will tell you that the reason for forcing victims to appear before the judge was not to convince victims to cooperate, but rather to protect themselves and their office from being blamed for dropping prior charges if there is a future act of domestic violence. This reason has nothing to do with justice and everything to do with providing “cover” for the DA’s political hind quarters. Some DA’s will drop charges ONLY after the witness comes in to the office and signs an affidavit saying she is the victim in the case and is requesting that the charges be dropped. The Reasons Given to Force A Victim To “Cooperate” – How far to push an alleged victim of Colorado Domestic Violence? Whether an alleged victim will cooperate will often turn on whether the relationship between the parties is reconcilable. Most DA’s offices do not have a comprehensive or even explainable position on when – or if – there would be a dismissal of a case. Most do not have a systematic way for deciding which alleged victims ” should be compelled” to participate and which cases should be dismissed. Without any system to guide DA’s – especially young and inexperienced DA ‘s – the very people making these incredibly important life changing decisions – the ultimate outcomes can only be inconsistent and arbitrary. The one size fits all approach to Colorado domestic violence prosecution must end. Forced participation – which requires that all victims be treated the same – ignores the individual facts, circumstances and needs of each victim. There is no safeguard to ensure that prosecution is the proper response in an individual case. 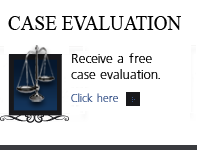 Every case is different and all cases must be dealt with on a case by case basis. Policies set in stone result in a robot-like response to every case, there is no way to analyze a victim’s needs in a particular case. A stone based policy ignores the real relationship between the accused and the alleged victim. Every victim is different – every relationship is different – every case is different. An individual concerns are much more important than the systems needs for so called uniformity. The alleged victim lives the case every single day. What happens is going to affect her or his entire life. Is the couple going to stay together or are they going to get divorced or separate? Will they get back together? Do they have children? Will she be able to feed the children? It is clear that forcing a victim who is scared to death of the defendant to testify does re-victimize her. Forcing victims to testify re-victimizes them by forcing [them] into a process over which they have no control. As a long time Colorado trial lawyer – I know all too well that to stand up in front of a courtroom full of strangers – and talk about bail, possible new offenses, safety plans or disposition policies – surely re-victimizes women day in and day out in our Colorado courts. The argument that strict no-drop policy serve society and therefore outweigh individual rights and are worth the collateral damage – is counter to my entire understanding of our countries jurisprudence. “I had her on direct for about an hour. She was under cross examination for three and a half hours crying, shaking, all upset. It was probably the worst day of her life. This girl was 16 years old. She was being called a liar in a courtroom full of people. There’s no way that we should have gone to trial. This girl was victimized all over again. I think that those [who do not try cases] can lose sight of how traumatic it is to actually be forced to testify”. I have won may domestic violence cases as a defense lawyer – I don’t list them or other cases on my website because it has always seemd to be an inapproiate thing to do. My websites provide information that intelligent people can use to educate themselves about their cases and to assist them to make the best decisions. When a judge or jury comes back with a not guilty verdict – because of the high burden of proof to prove criminal charges in Colorado – what is the message to the vctim then? No-drop policies use massive resources. Much more time and energy must be put into cases that ultimately cannot be prosecuted. DA’s and courts should focus these resources on cases that result in some benefit to the victim or community. No drop decision-making power removes a victim’s autonomy. State intervention undermines any attempt the alleged victim has made to empower herself. Forced participation only adds to a victim’s low self-esteem – destroying any perception of having control. It dis-empowers women by forcing a decision upon them without taking into account their individual needs. Allowing alleged victims to drop charges – on the other hand – promotes victim autonomy and empowerment. Forcing an alleged victim to cooperate – where there is only the weakest of cases left when a DA IS FORCED to impeach her is a waste of time for everyone. Resources in a domestic violence case are better used by encouraging a couple to receive counseling and ultimately issuing a dismissal than by going forward with a trial and impaneling a jury in a case where the only witness refuses to testify. Even a case with stronger alternative evidence is not always enough to win. When the victim refuses to cooperate, the strongest evidence a prosecutor can have is an independent witness who saw the violence… and that witness should NEVER be a child. No jury should hear or see a six-year-old child on the witness stand to testify that she saw Daddy hit Mommy? ” Think of the questions from the child’s friends.. “you put your daddy in jail?” How would that impact six-year old? If you have questions about Colorado Domestic Violence Cases in the Denver metropolitan area and throughout Colorado, attorney H. Michael Steinberg will be pleased to answer those questions and to provides quality legal representation to those charged in Colorado with adult and juvenile criminal matters.. as regards Colorado Domestic Violence Cases.